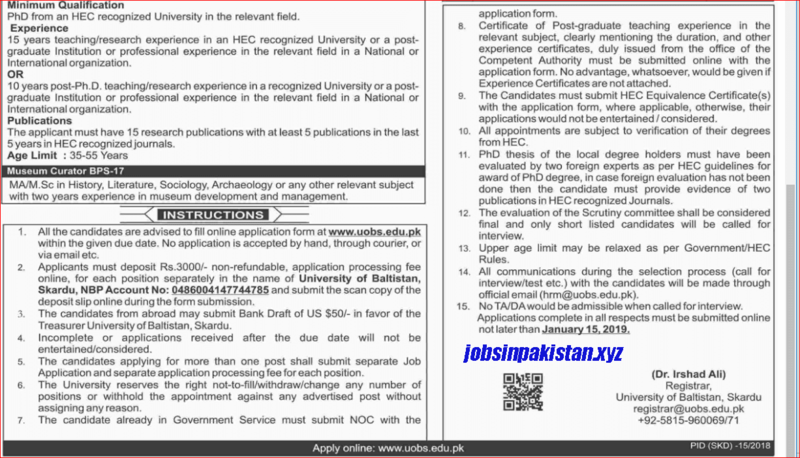 Jobs Description: University of Baltistan Skardu Jobs December 2018 are listed below in our site. 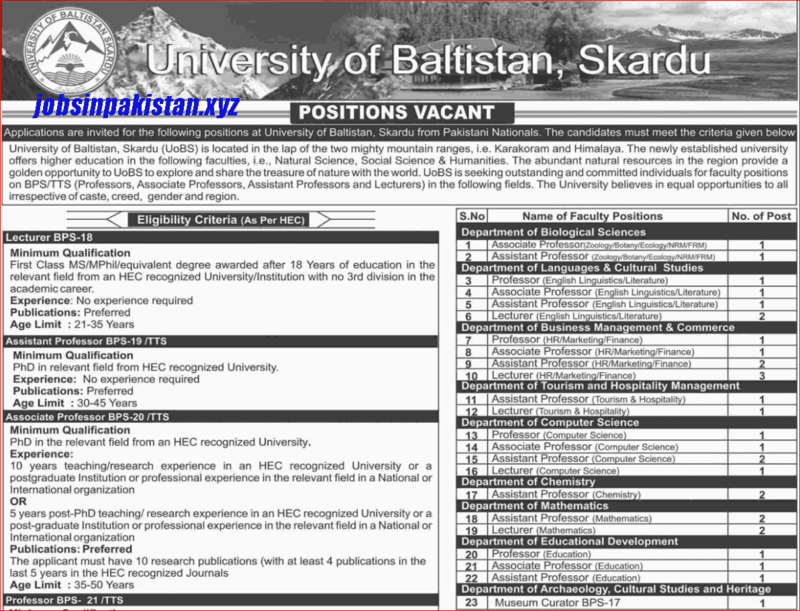 The University of Baltistan recently announced an advertisement for empty vacancies. The University of Baltistan is one of the best Universities in Skardu and Gilgit Baltistan. The University of Baltistan providing well education to students, and also a good salary packages to staff. The University of Baltistan, Skardu (UOBS) is located in the lap of the two mighty mountain ranges i.e. Karakoram and Himalaya. The newly established university offers higher education in the following facilities, i.e., Natural Science, Social Science & Humanities. The abundant natural resources in the region provide is a golden opportunity for UOBS to explore and share the treasure of nature with the world. UOBS is seeking outstanding and committed individuals for faculty positions on BPS / TTS (Professors, Associate Professors, Assistant Professors, and Lecturers). How To Apply: The interested candidates may apply online through the University of Baltistan Skardu official website.